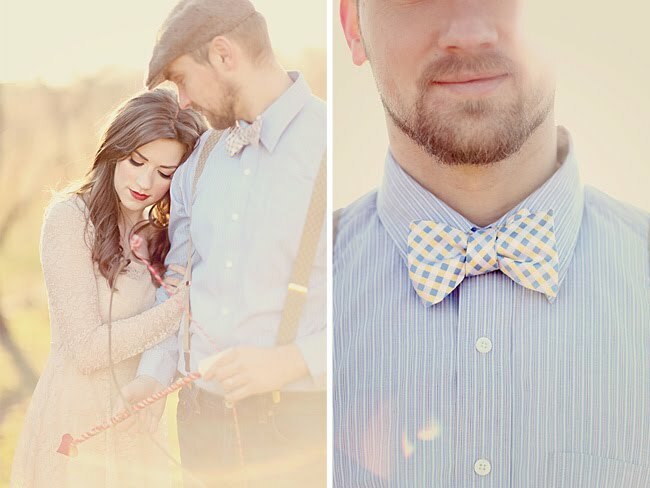 I guarantee you will fall in love with this beautiful engagement shoot from Simply Bloom Photography! Incorporating vintage details and simple yet creative props, Vania and Christina of Simply Bloom Photography photographed one of the most beautiful sessions for Valentine's Day. 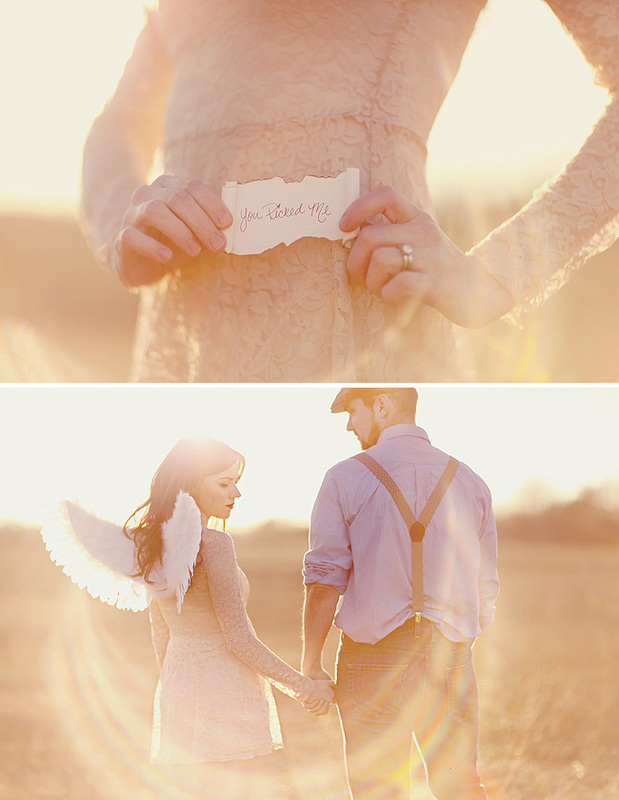 Check out the shoot below - from the to die for lighting to the delicate angel wings, it's love at first sight! Images by Simply Bloom Photography via Green Wedding Shoes. 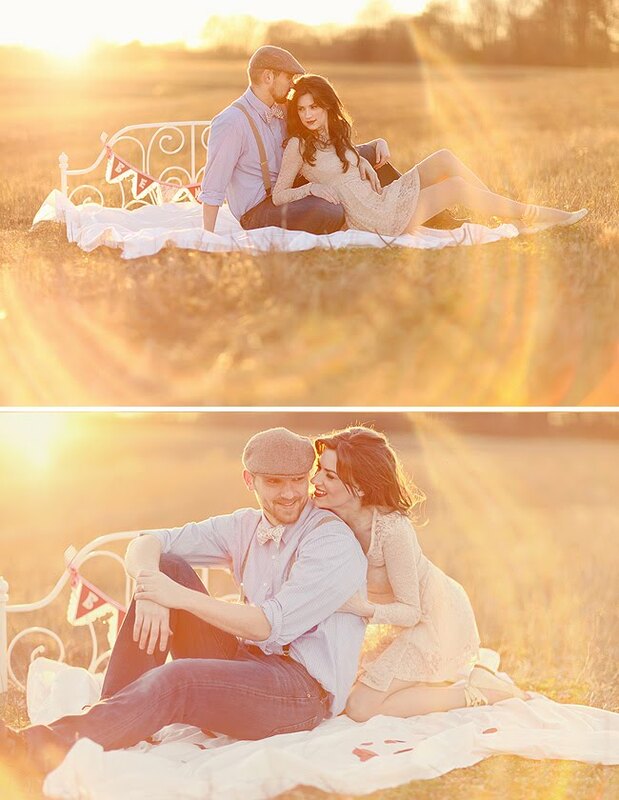 Beautiful photo shoot! I've never seen anything like it. What a great shoot. 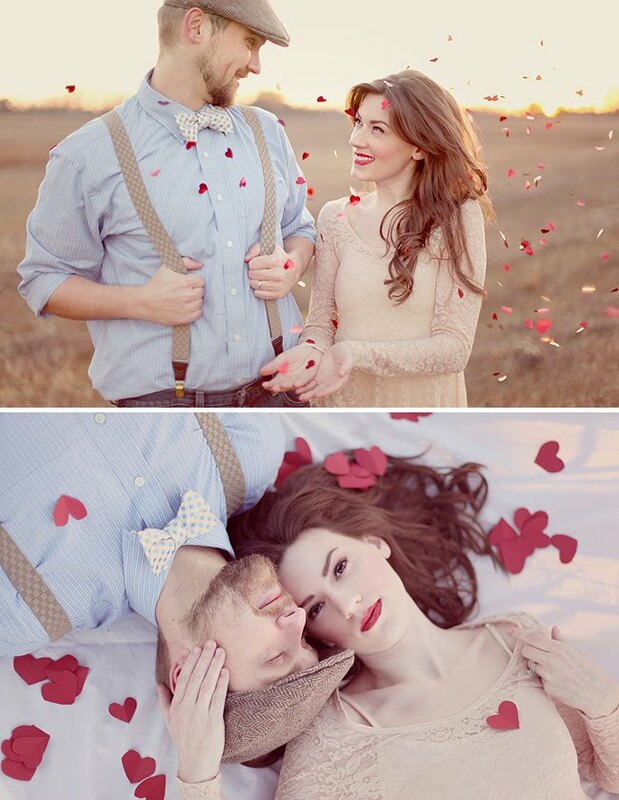 Simply Bloom Photography does beautiful work. I love the sun drenched photos. Thanks for sharing!